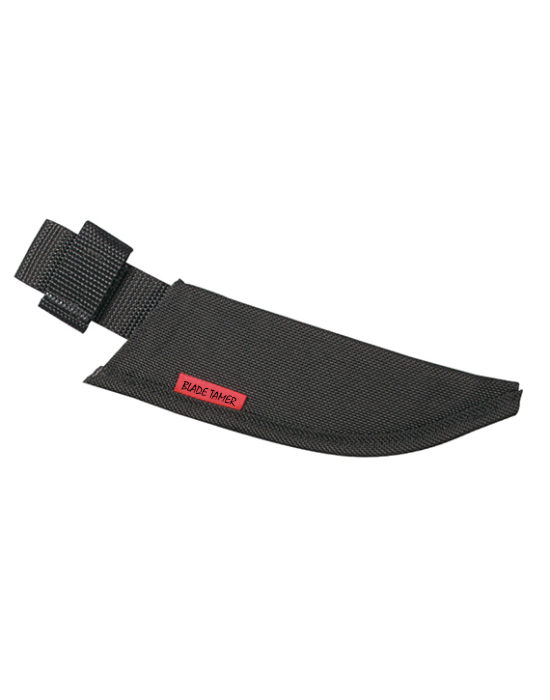 The 12″ Blade Tamer cimeter sheath features a tough exterior made from military ballistic grade nylon. Strong webbing finishes the sewn edge of all our sheaths. The BT 12C is one of the largest sheaths we manufacture. Designed to handle the 12” cimeter (model #40630), this knife is designed to tackle big jobs like tuna, salmon and sword fish.